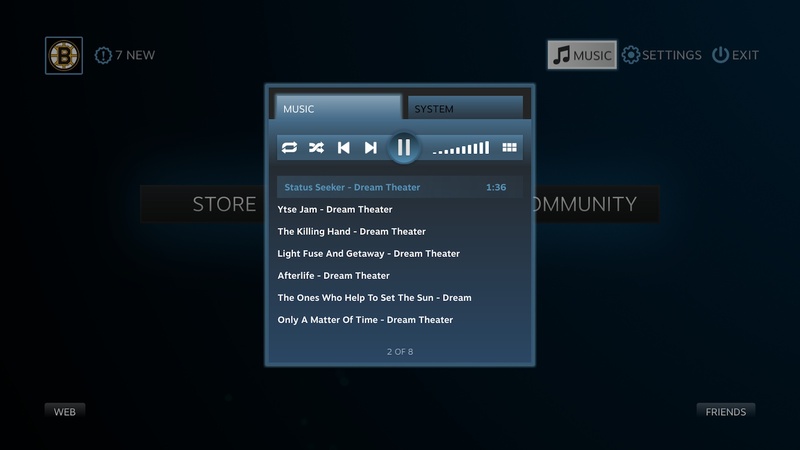 Last month, Valve announced that it would be bringing a music player to Steam in the coming weeks. It's the first step of a complete media integration strategy being employed by the House that Freeman Built, and eventually all of your media, local or otherwise, will be playable through Steam. As fate would have it, a Steam Music Beta invite popped into my inbox about a week ago, and I decided to take the media player for a spin. Read on for my impressions of the beta, but keep in mind that the service is still beta, so there's plenty of work and fine-tuning to be done. 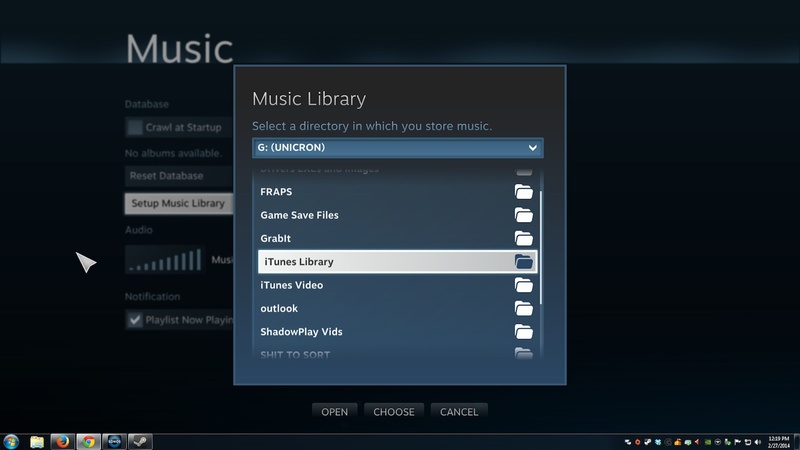 Setting up the music service in Steam was as simple as turning on Big Picture Mode (a can't-miss button on the Steam desktop interface page) and hitting the Music button in Settings. From there I was able to add my music directories from my local machine (choices also include any networked PC or storage device.) For me, I choose the 2 TB WD external drive that contains all my digital music.) Steam then takes a few minutes to populate the directory on its end. 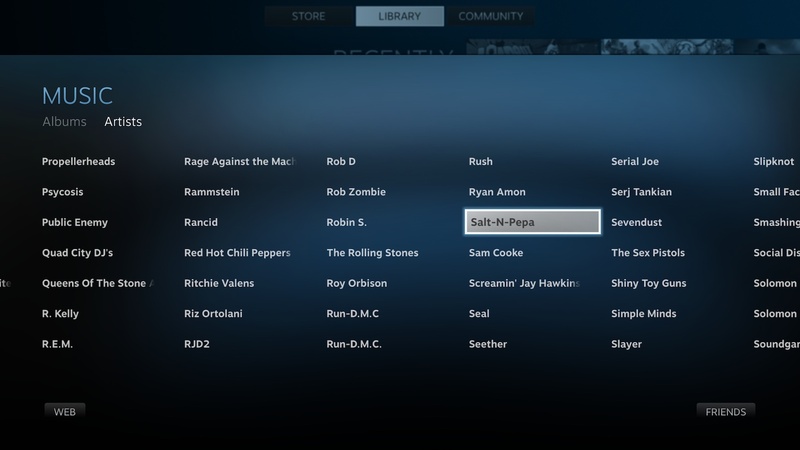 After grabbing a cup of tea, sit back down at your PC or TV, and your music collection should be ready to rock. Track support is limited to MP3 playback at the moment, so FLAC enthusiasts should hold off if the higher-quality codec is all they dare to put in their ears. The sorting options are fairly spartan at this point -- Albums, or Artists -- and there doesn't seem to be a playlist option just yet. There is a queue system, so adding multiple albums or tracks isn't an issue, but there's no way to save that queue as a playlist. The player is pretty straightforward as well; shuffle and repeat options are right next to the play/pause and directory browser buttons, so navigating and queue customization, while limited, is readily available. 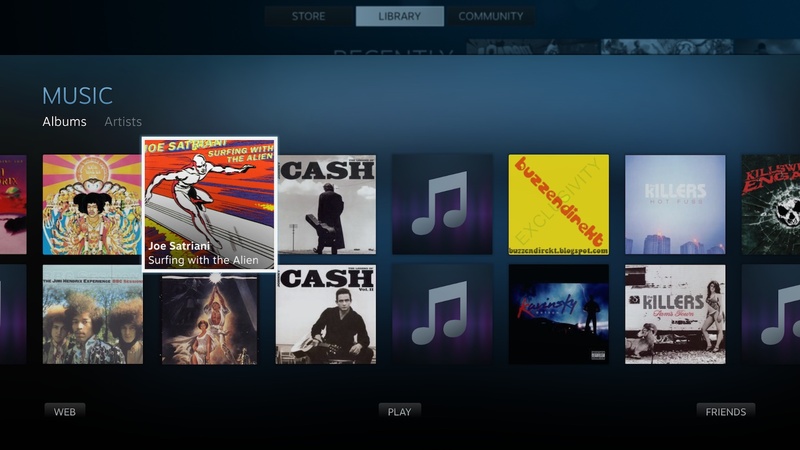 Steam Music is "limited" to Big Picture Mode, sort of. 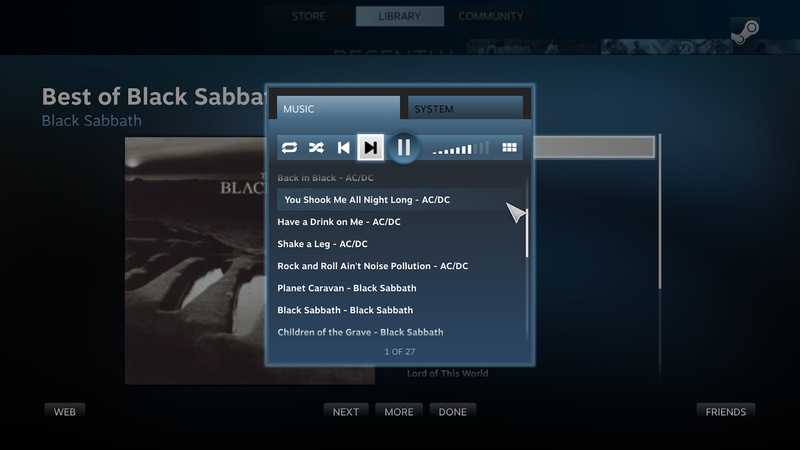 You do have to go through the TV-friendly interface to set up the player, and populate the queue with music, but after you load in a half-dozen albums and hit the shuffle button, you can quit to desktop, and the music will keep on playing. Loading up Dethklok and Black Sabbath, quitting to the desktop version of Steam, and playing Loadout didn't present any issues (although, admittedly, there's no need to leave the BPM version of Steam unless you detest it for some reason). So local music is a snap to set up, even with the limited playlist options ... but what about streaming? My sizable local library is always great as a backup, but Spotify and Pandora rule the roost for me, and presumably many of you. So far, there's no support for streaming services, although a trip to the Steam Forums says support is on the way soon. 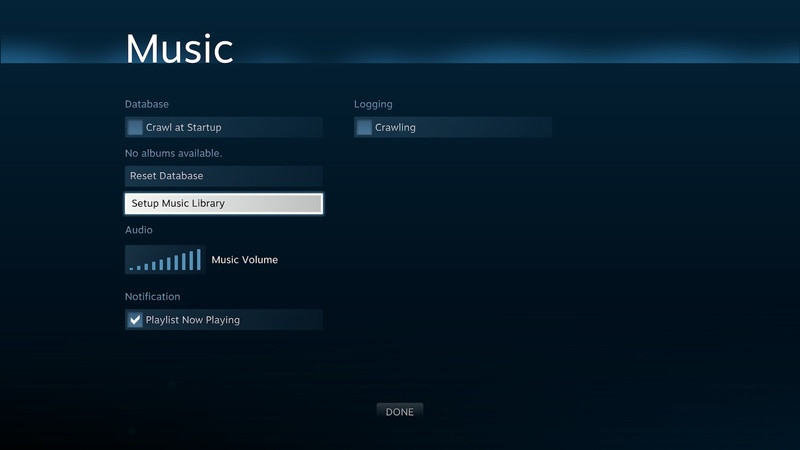 Steam Music is a very basic service at the moment, but the foundation is both solid and promising. Music playback requires minimal time to configure initially, even if it's only limited to Big Picture Mode. 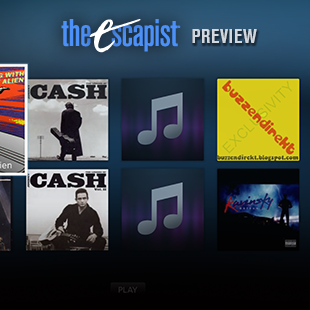 The player options definitely need some fleshing out, and add-ons like FLAC and Spotify support can't come soon enough. 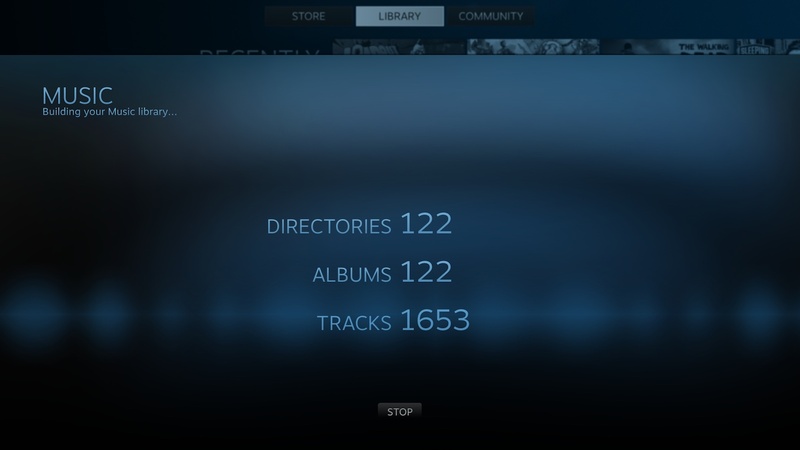 Assuming Valve makes updates on the regular, Steam Music should be a full-featured and welcome addition within the next few months. You should definitely check out the service for yourself if given the chance (join the Steam Group to hop into the beta pool), but it will take some time before Steam Music replaces Winamp, iTunes, or Windows Media Player as your go-to for music playback.